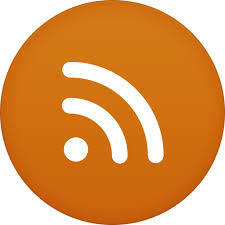 The Industrial Print Magazine Podcast. Listen to our official podcast to discover how manufacturers embrace advancements in industrial printing. January 2019: Olivia Cahoon interviews Jon Jensen, marking and coding specialist, InkJet, Inc.
December 2018: Melissa Donovan interviews Erik Holdo, VP graphic communications/industrial print line of business, Konica Minolta Business Solutions. December 2018: Olivia Cahoon interviews David Murphy, marketing director, HP PageWide Industrial Division. December 2018: Olivia Cahoon interviews Michael Maxwell of Mimaki USA. November 2018: Olivia Cahoon interviews Jay Roberts of Roland DGA. November 2018: Suhas Chavannavar, market segment manager, flexible packaging and ink resins, BASF Corporation, discusses coatings for digitally printed corrugated packaging. November 2018: Tim Brule, VP, disruptive technology, Fanatics Branded, discusses his business as an apparel manufacturer that uses digital printing technology. October 2018: John P. Vogel, president, Chesapeake Digital Consultants, ATC Consultant, shares the benefits coatings bring to digitally printed corrugated packaging. October 2018: Kevin Kern, SVP, business intelligence services and product planning, Konica Minolta discusses the company’s current role and future goals for graphic communications and industrial print. October 2018: Michael Maxwell, senior manager, Mimaki USA, gives an update on the many products it plans on bringing to the SGIA Expo. October 2018: Kathryn Sanders, product marketing manager, Top Value Fabrics, shares information on the company’s print media, apparel, and home furnishing collections. October 2018: Rob Lawrence, business development, METIS Scanners, CGS, discusses design and scanning software for creating digitally printed flooring. September 2018: Melissa Donovan learns about Konica Minolta’s entry into the wide format market with the AccurioWide 160 and 200 UV hybrid printers. September 2018: Dino Pagilarello, VP, product management and planning, Konica Minolta, highlights the range of products we can expect to see from the company at Print 18. September 2018: Melissa Donovan speaks with Jay Roberts, product manager – UV printers, Roland DGA Corp. regarding UV ink and adhesion promoters for printing directly to glass. September 2018: Melissa Donovan speaks with Bob Keller, GM, Marabu North America about UV ink’s capabilities for printing directly to glass. September 2018: Melissa Donovan speaks with Heather Rockow, business development manager, Kao Collins Inc. about cationic and free radical UV ink used in glass printing. 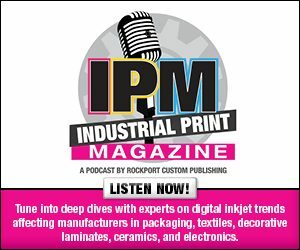 August 2018: We sit down with Patti Smith, VP of business development and marketing, Kodak Enterprise Inkjet Systems Division and discuss digital printing processes for flooring manufacturing environments. August 2018: Cassandra Balentine interviews David Wilkins at the 2018 Xeikon Cafe.